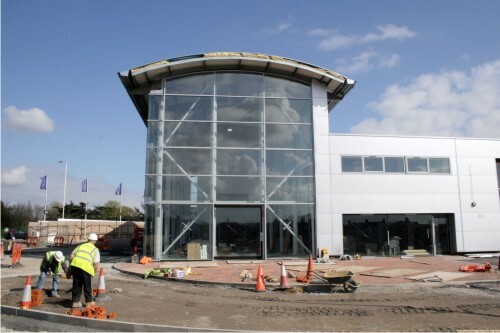 As part of a long and successful partnership with Ford Retail, Kiwi Design secured a £6 million contract to build a sustainable, state of the art car dealership for the Ford Retail division of Ford Motor Company. 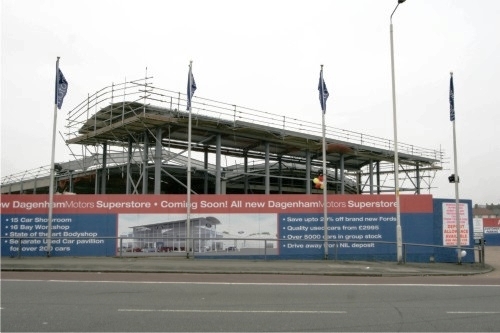 The dealership, which trades under the “Dagenham Motors” banner, wished to redevelop its workshops at Ripple Road in Barking to provide its customers with new high quality facilities. The new 3500 square metre development includes a light, spacious new 15-car showroom, and a separate used car pavilion and display area for a further 200 cars. 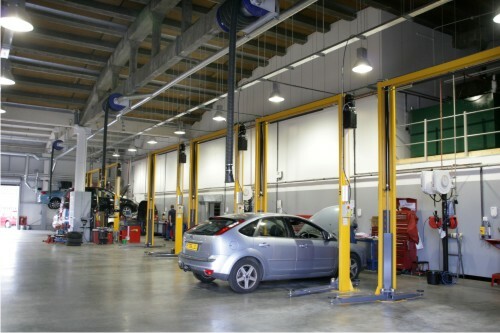 The newly refurbished after-sales facility includes a 14 bay workshop, a new body shop, parts department and an extensive customer car park. 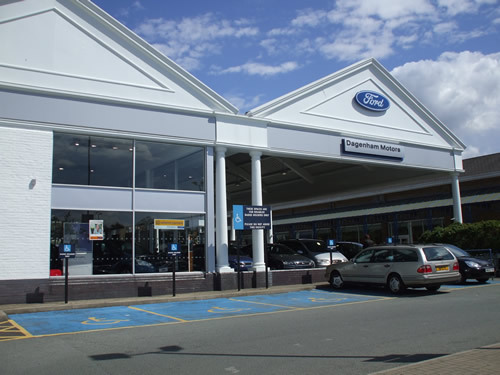 Kiwi Design and Ford Retail have had a long and successful partnership resulting in projects such as Dagenham Motors in London, Brunel Ford in Bristol, Hartland Ford in the Midlands, and Polar Motors in the North. Kiwi Design worked with the Ford Motor Company to reduce the environmental impact of the site. Water use is reduced by capturing rainwater run-off from the roof and storing it in a 16,000 litre (3,500 gallon) capacity underground tank. This then supplies water for washing cars and flushing toilets. The rainwater harvesting tank includes a UV sterilisation unit and inline contaminate and particulate filters that enable the water to be suitable and hygienic for hand washing. In addition, with an integrated used oil burner on the site, waste oil from cars that have been serviced is re-used for heating the premises and a wind turbine was installed to generate up to 10% of the site’s electricity. During the construction, 1800 sq. metres of non hazardous soil was excavated from the site and will be reused for landscaping the site, rather than going to landfill.